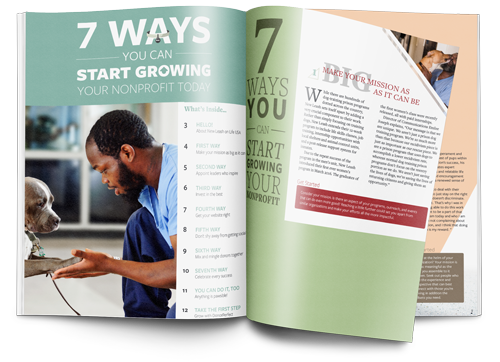 Connect with your donors through email, text, social media, and peer-to-peer fundraising pages that give them the power to raise money on your behalf. The Constituent Engagement Growth Track can help you develop and maintain meaningful relationships with the donors who make your mission possible. The track begins with features in your core DonorPerfect system like Constant Contact email marketing. You can bolster your donor engagement strategy by moving further down the track to include powerful integrations like text-to-give, advocacy, and volunteer management. With the Constituent Engagement Growth Track, you can add features as you go to strengthen your donor relationships. Constant Contact’s easy-to-use email marketing solution enables you to send beautiful emails and newsletters that spread the word about your monthly giving program using modern, stylized templates. Integrated into DonorPerfect and included free with most systems, you can segment your email list, send targeted messages, and track open rates, click throughs, opt outs, and more. Did you know that 93% of text messages are read within just 3 minutes of delivery? Make sure your messages reach your donors! Designed for fundraising and donor engagement, DP Text enables you to effortlessly compose, schedule, send, and track texts to raise funds, register event attendees, recruit volunteers, and more. Seek out, sign up, and stay in touch with volunteers the easy way. Enable them to pick, change, and cancel their volunteer spots from a pre-defined schedule that immediately updates your staff of any changes. Import volunteers and hours into DonorPerfect for better reporting, segmentation, and recognition of their volunteer status within your system. Encourage donors to promote your cause to the federal and state legislatures who can make it happen. There’s no need to pore through spreadsheets to connect your donors to people in Congress. Votility can do it for you. Votility is an extensive, up-to-date congressional directory that pre-fills your messages to constituents with their representatives’ contact information. Educational institutions lean on DonorPerfect’s alumni management capabilities to turn enthusiastic alumni into loyal donors that fuel the success of future generations of students. Record contact information, giving history, and advancement and biographic data to pinpoint potential major and monthly donors. Get inspired and see how one nonprofit expanded their mission through a comprehensive prison-based dog training program! Check out New Leash on Life’s heart-warming story.